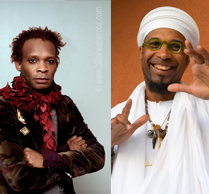 Jah Baba is a devoted Africanist artist from Benin and Nigerian. He was introduced to music alongside his father, a Jazz artist well known in West African. True to its cultural heritage from which it takes its inspiration, Jah Baba offers a variation of Afro-Jazz with some strains of gospel. His album of 14 titles out in 2011 allowed him to be invited on several continents including to the USA where he gives a representation in the U.S. Congress. Project Chameleon was born in the Fall of 2015 under the leadership of Gerald Kébreau (bass) with Josué Alexis (piano) and Norman Iméran “Poupy” (drums). Beyond the pleasure of playing good music, the experience of these three musicians forms the harmony to which are added mix vocals and instruments of young Haitian musical talents. From their mastery of different musical trends, the Chameleon trio adapts its talents and repertoire to every emotion and musical encounters, with the ambition of different outcomes and a constant evolution. This young drummer started his music career in konpa with the legendary Tabou Combo, which he pursued by touring with Carimi for 4 years and playing with Sweet Micky in 2008. He collaborated with Yoan Doré, Rutchel Guillaume and Stevie Mahé from Guadeloupe. Nau has started his « Live jam band » in 2011 with the intention of mixing jazz, rock, funk and konpa. Haitian-American composer, arranger and vocalist Pauline Jean is a rising star who, with her distinct rich contralto, introduces her creativity and her culture into to day’s music scene.Pauline brings a new perspective to her music with an erudite blend of her Kreyòl roots and modern and classic jazz. Her exceptional and inventive interpretations make her an instant favorite with audiences of all ages. Pauline has performed extensively at prestigious venues and festivals worldwide. 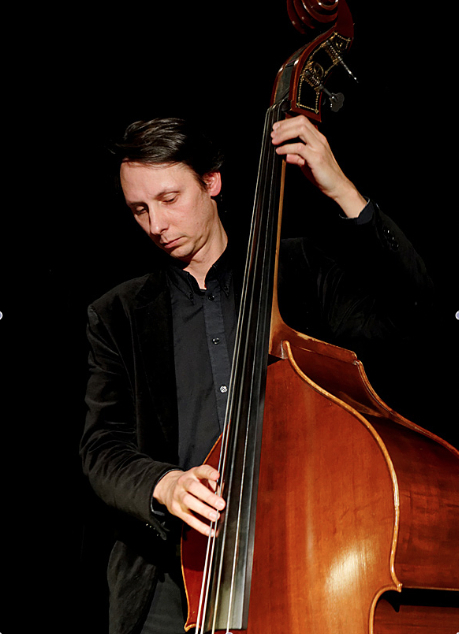 Montreal-based, composer, sound artist and musician, Jeremie Jones plays upright and electric bass and has recorded more than 15 albums with different artists. Some of thoses albums where nominated for Canadian Juno awards and Best experimental album of the year. Featured in top charts and received good press reviews. Toured over 5oo shows in Canada, US, England, Ireland, Scotland, Poland, Slovakia, Hungria, France, Austria, Germany, Italy, Haiti. His new project Noordwiijk explores the intimate meeting point of acoustic and electronic music. At the PAPJAZZ, Jérémie is performing with 4 traditional drums directed by Jackson Saintil.